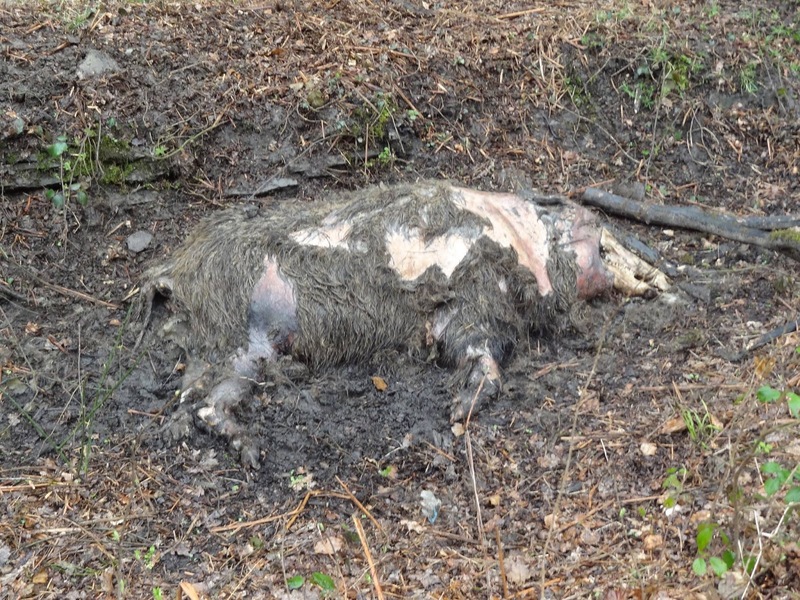 Over the last 3 days, 10 mammals have been found dead in the Forest of Dean. 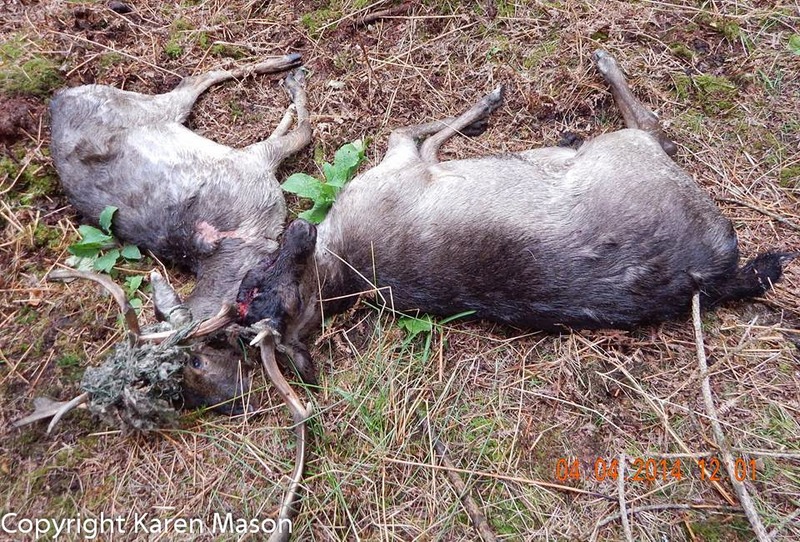 Of these, a roe deer was found decapitated and two fallow bucks were found together, lying dead. 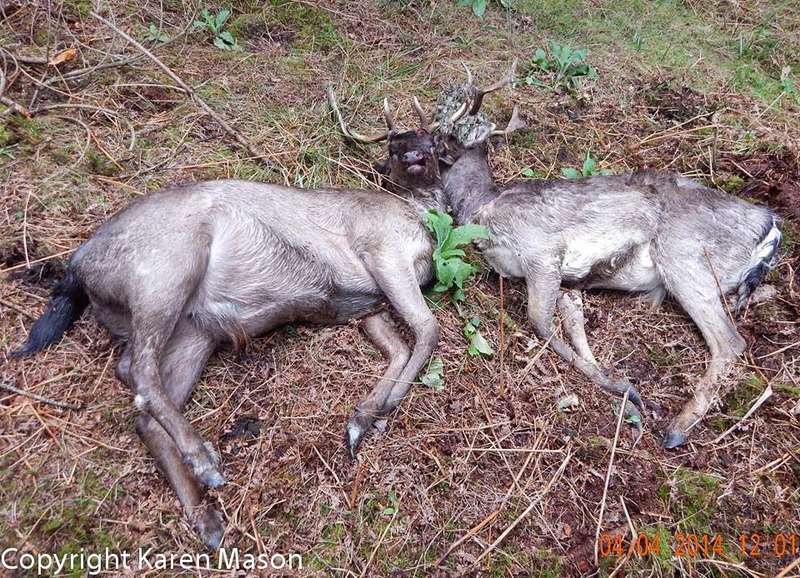 Although it looks as though their antlers are tangled, the photographer is adamant that they were not. 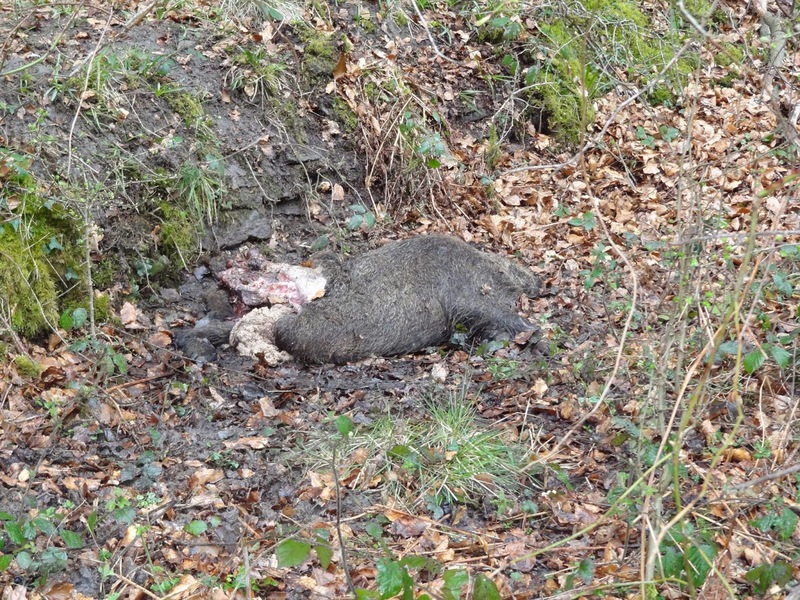 Over the last 12 months, we have seen a spike in wildlife persecution throughout the area, aimed at the wild boar, but unfortunately we are now seeing other wildlife targeted. 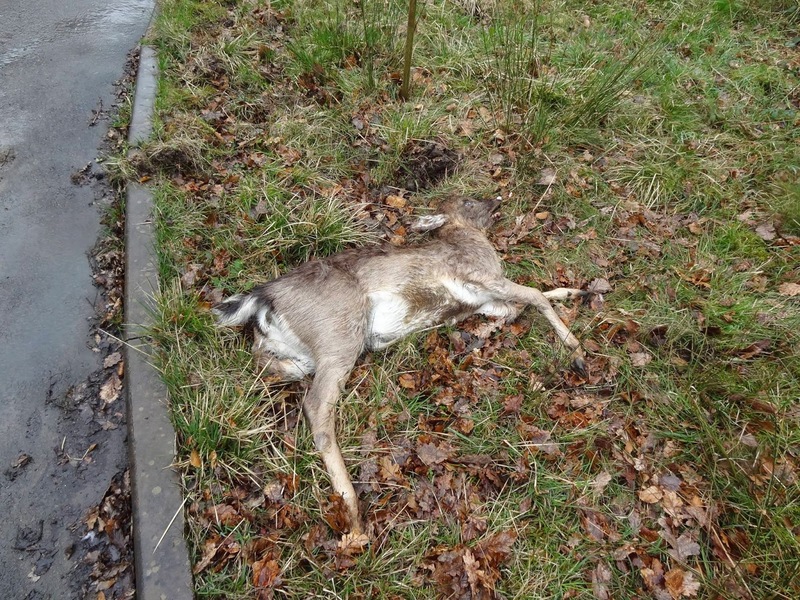 The persecution has come from politicians (certain Councillors and MP Mark Harper) who have all waged a personal war against our wildlife. 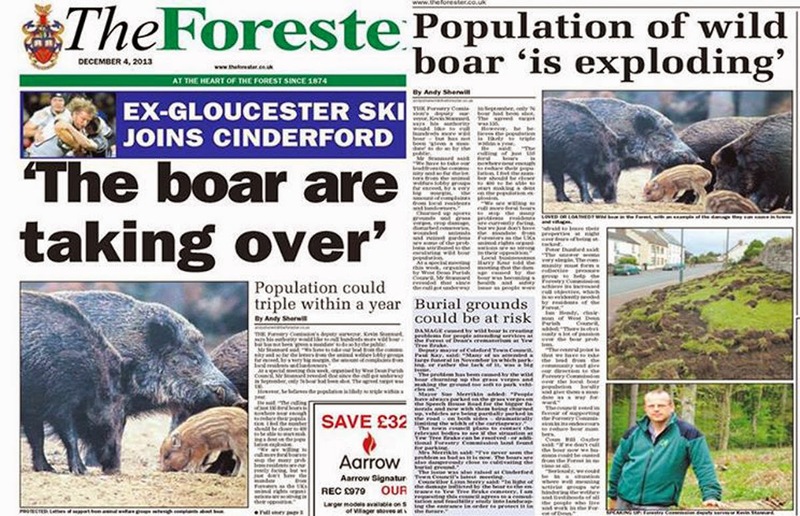 The Forestry Commission (see photo below) and a newly formed anti-boar group called hogwatch. 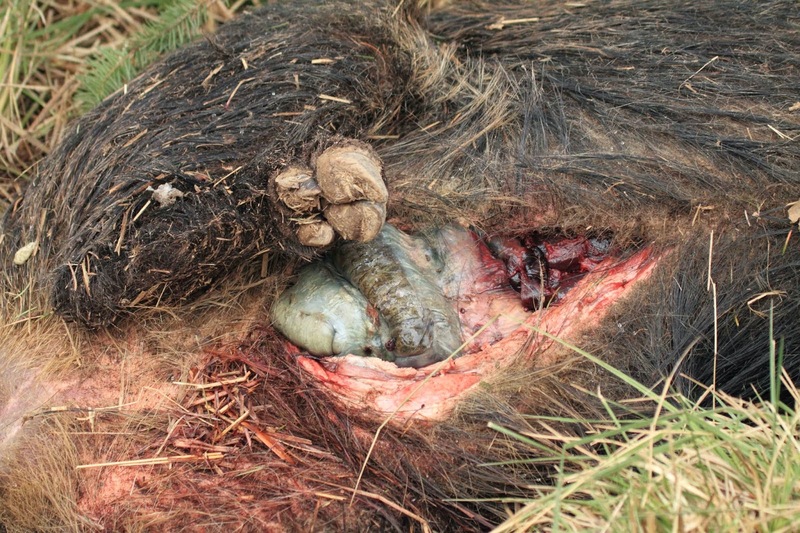 Hogwatch formed to help give the FC a mandate to mass cull wild boar, even though there was no scientific evidence to back up their pie in the sky, imaginary population estimations. 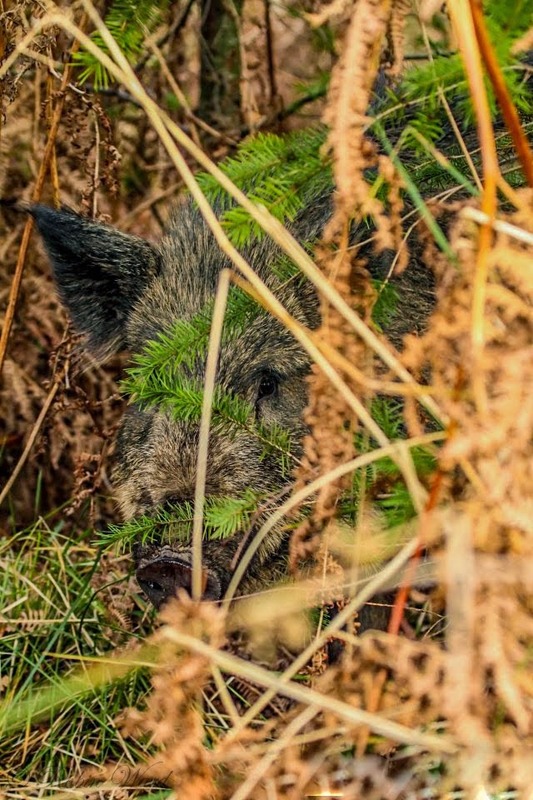 What they failed to realise is that we have lost hundreds of acres of forest due to felling, over the last two years and this has taken hundreds of acres of boar habitat. 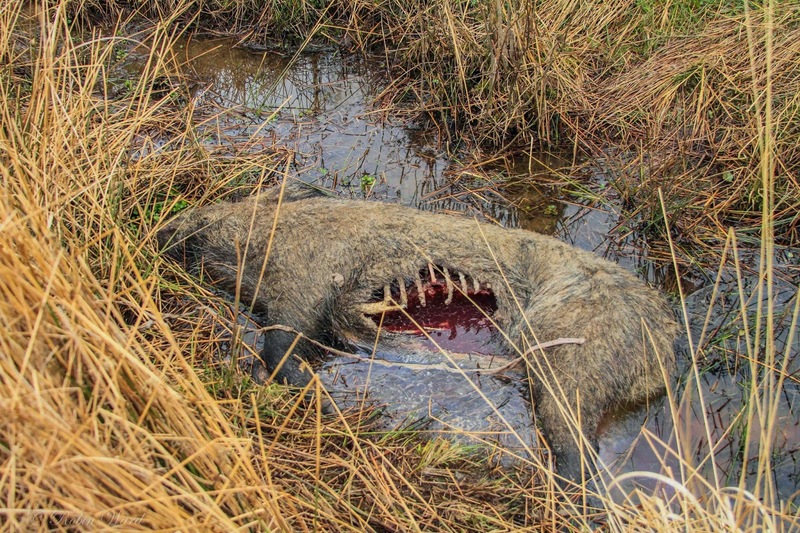 This has forced the boar to accumulate in larger numbers in unaffected forested areas, so we have not seen a number explosion, but seeing the result of habitat loss. Unfortunately, put all these people in one room and they would have the brainpower to work this out between them and this is the sad reality of what is happening in the Forest of Dean. Imagine you are a bird and a tree gets chopped down. What do you do? You move onto the next suitable tree. What if hundreds of trees get chopped down in one area. What do you do? You move to another area. 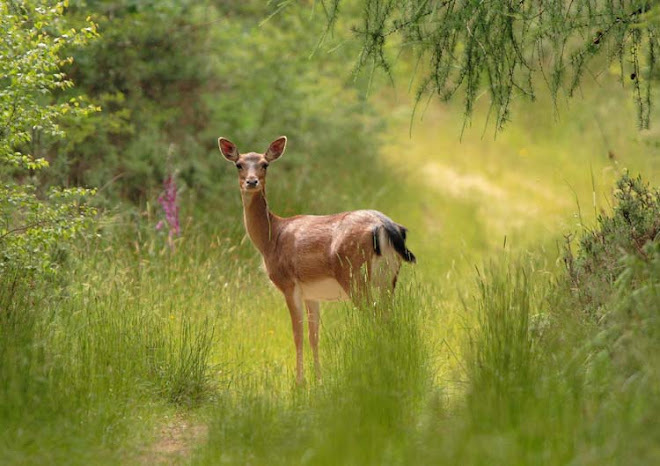 Our mammals are no different, in fact habitat loss affects them more as they are mainly nocturnal and do not like open areas with no cover during the daytime. Why is it that these people can't see this? 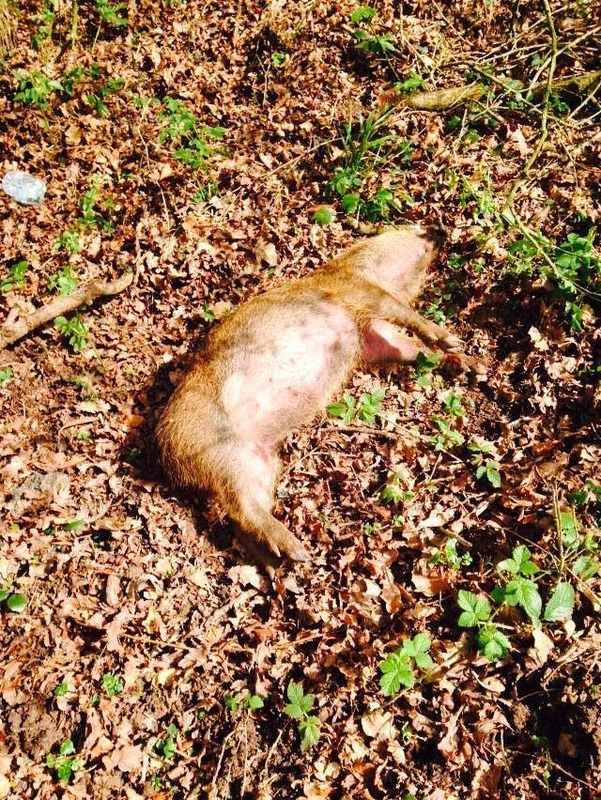 The FC wanted their mandate, well hogwatch and some blood thirsty, ignorant councillors and our MP Mark Harper gave it to them. 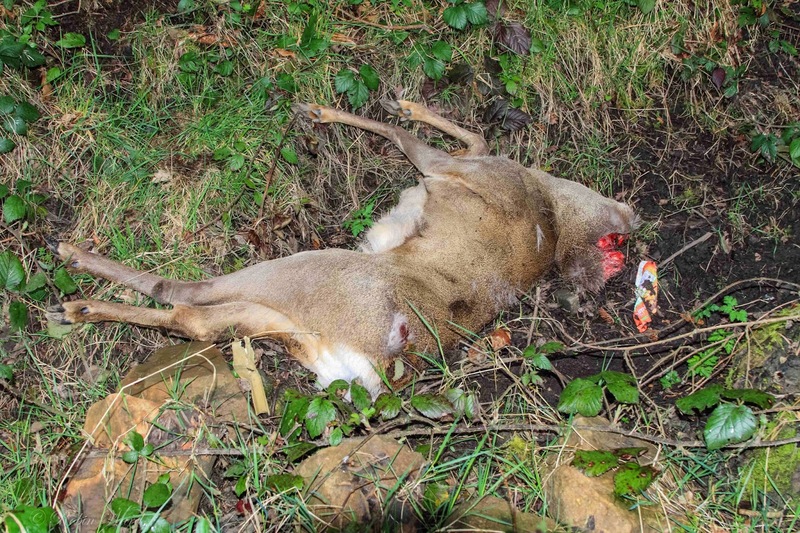 We are now seeing the result of this as when political figures wage war on our wildlife, certain individuals think it is OK to take the law into their own hands as they believe this is what the powers to be actually wants. 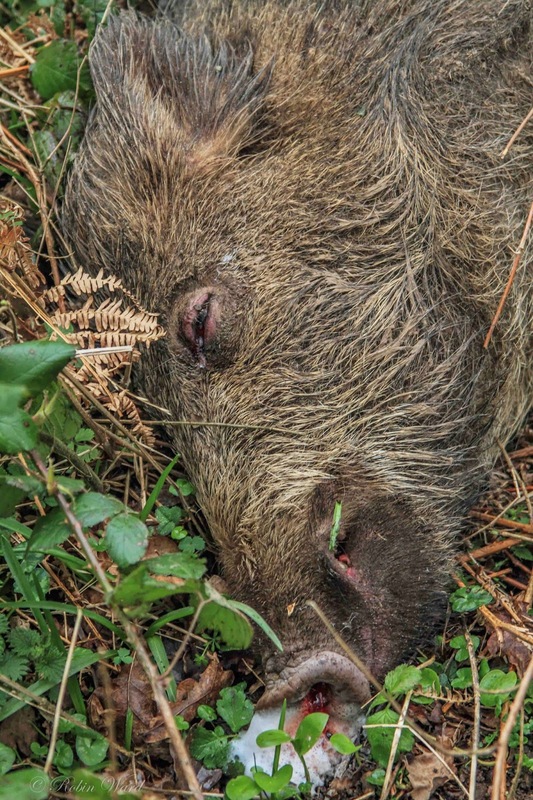 When this is finally over, if it ever stops, the people (all of them) responsible for inciting wildlife hatred will be held accountable and if there is found to be wild crime, we will do everything we can to make sure they are prosecuted. The following photographs will be shocking to some, but I am not apologising as they need to be seen. 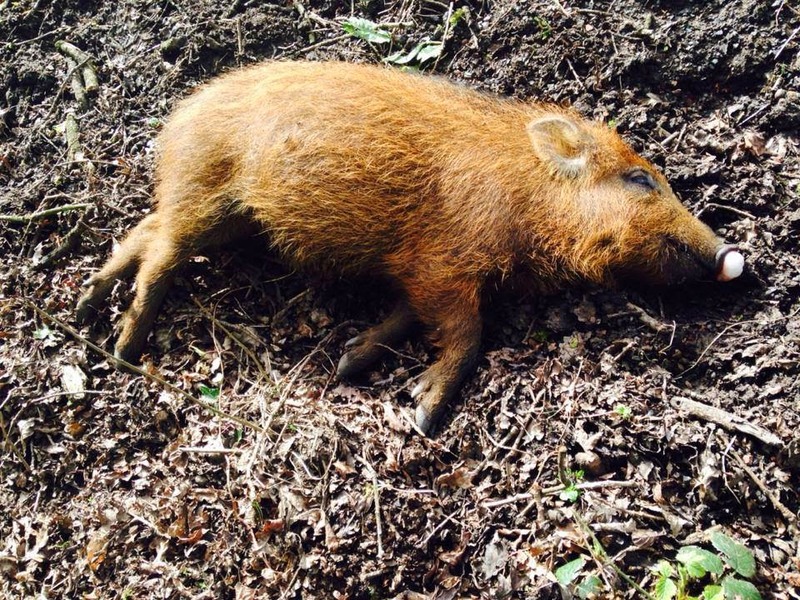 I also found this wild boar a couple of years ago, in the Forest of Dean. He had been decapitated and cut open. 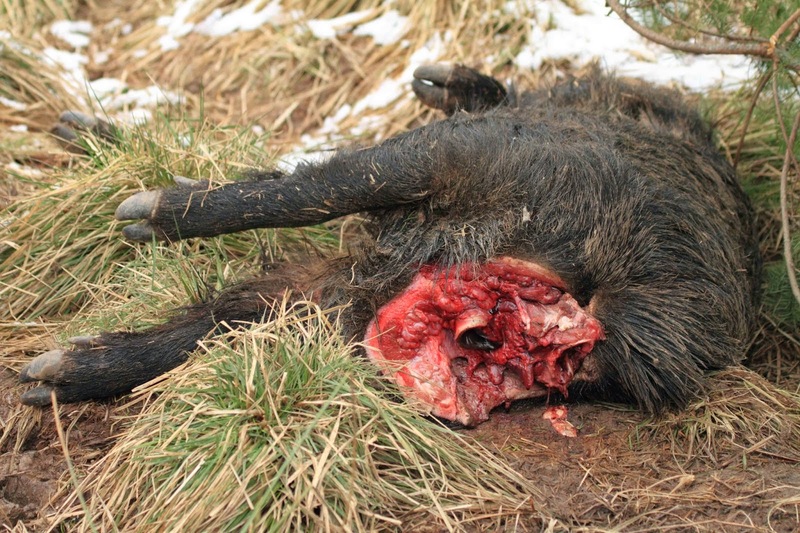 Not a nice sight to walk up on.